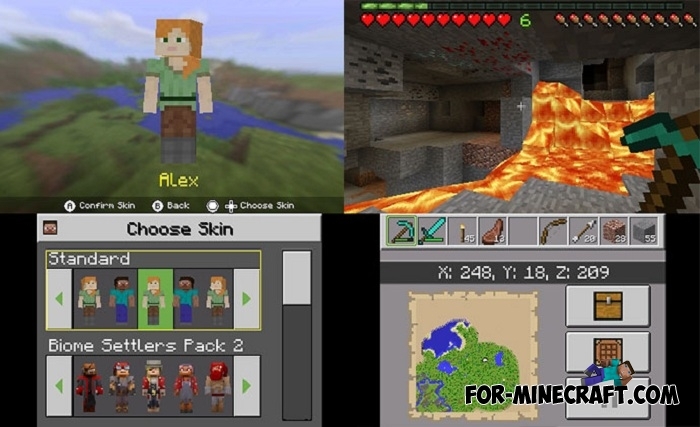 Now Minecraft is ported to the Nintendo New 3DS game console. Despite the name of the device, it is not so new, and was developed as early as 2014. But not everything is as good as it might seem. This version of Minecraft for the console is comparable to MCPE 0.15.X, which contains much fewer features compared to Minecraft PE 1.2. Therefore, you will not see a lot of cool content, for example Realms, because the developers have done a huge job in the latest versions of the game. In any case, the Nintendo 3DS version will evolve and progress towards the pocket one. More information is not yet available and it is unlikely to appear in the coming days, but for sure they will tell more details after a certain time. If it's a Minecraft Bedrock platform, then it would be logical if this version of MC got the Better Together Update and its corresponding capabilities. Will this be done? We will find out only after a while. The Nintendo 3DS version will have a number of advantages, compared to the Nintendo Wii U devices released two years ago. The size of the world is limited to 2016x2016 and a height of 128 blocks. In addition, players can enjoy a unique interface that uses both device screens. 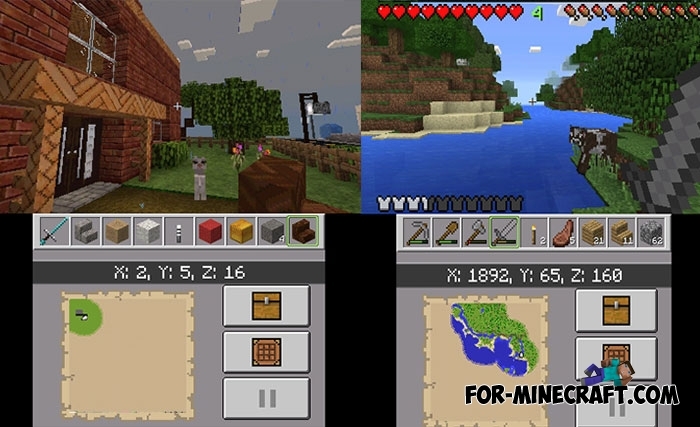 The first screen displays directly the gameplay, and the second one is used to display inventory, crafting table, maps and other things.